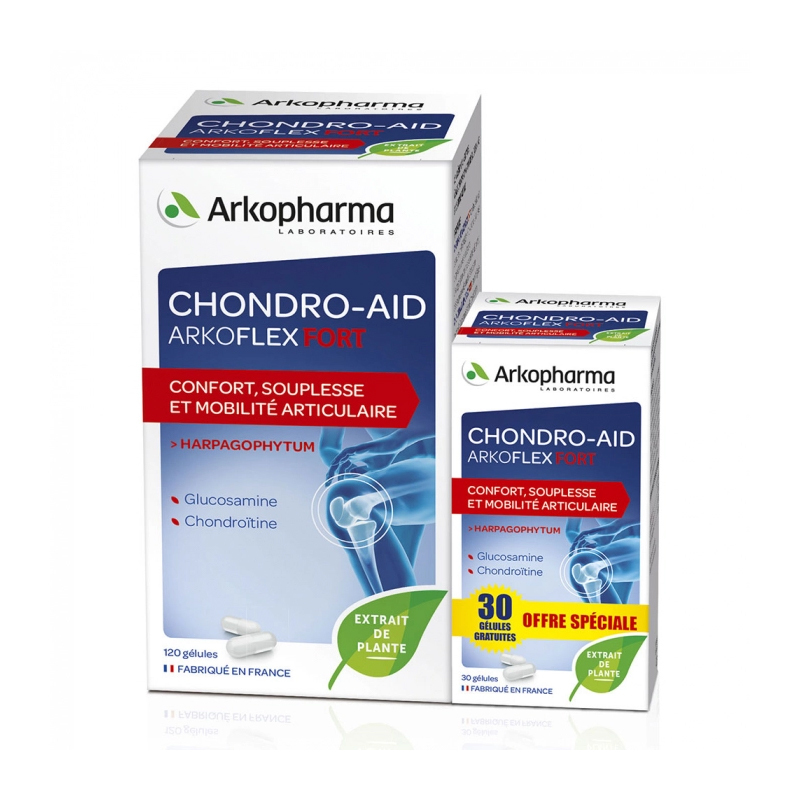 The ARKOCAPS CHONDRO AID FORT, Dietary Supplement improving the comfort, flexibility and joint mobility. 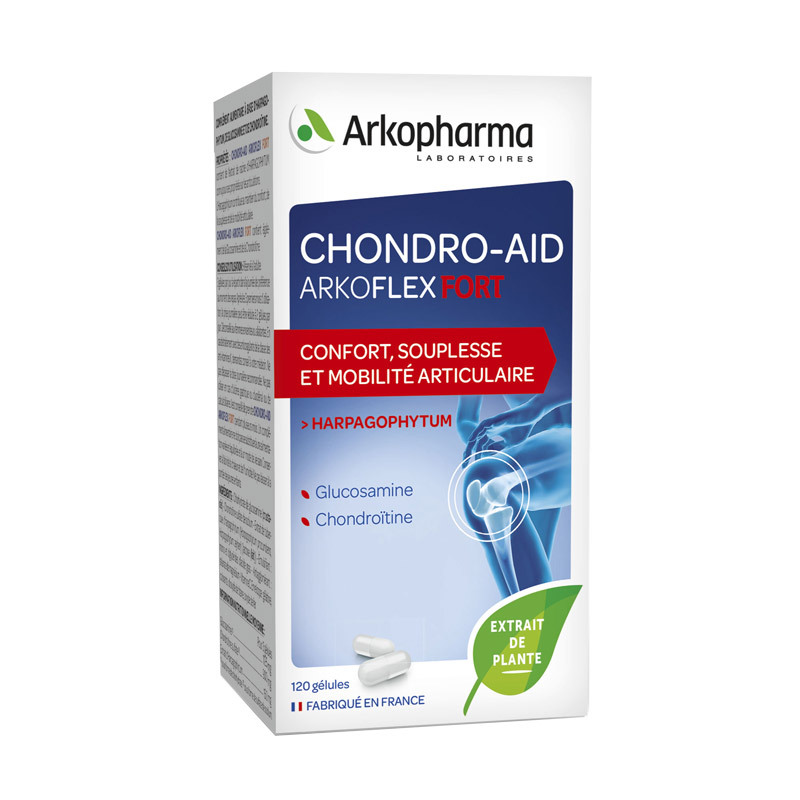 Glucosamine and Chondroitin occur naturally in the synthesis of cartilage and lubricate joints. 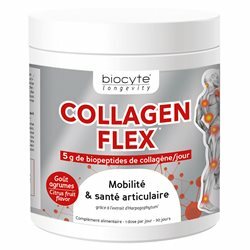 Numerous scientific studies have demonstrated the value of these assets on joint comfort. 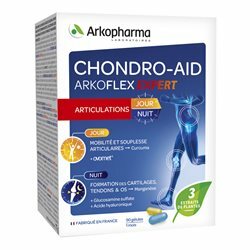 Chondro-Aid Fort contains an optimal amount of glucosamine and chondroitin to help support cartilage to find comfort and joint mobility. Take 4 capsules per day divided throughout the day preferably with meals. 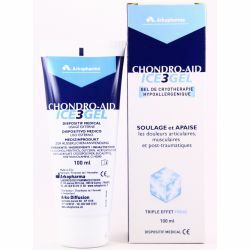 It is important to know that the beneficial effects of Chondro-Aid Fort are not immediately visible, because it is a slow but fundamental action. 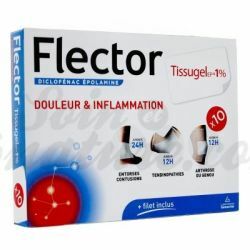 This is why it is necessary to continue operation for several months. The daily dose can be reduced to 2 capsules per day after the first 3 months of use. To be used in addition to a varied and balanced diet and a healthy lifestyle. Do not exceed the recommended daily dose. Keep away from heat and moisture.